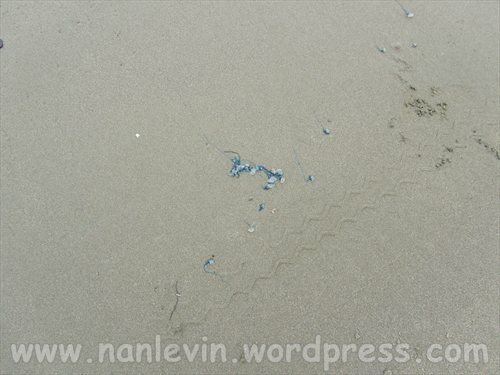 We were walking back from town this afternoon and found jellyfish all over the beach. 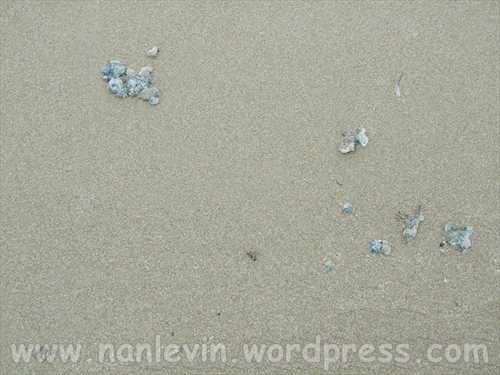 The largest collection seemed to be in front of Palm Azul. These little guys pack a wallop. We will not be swimming today! 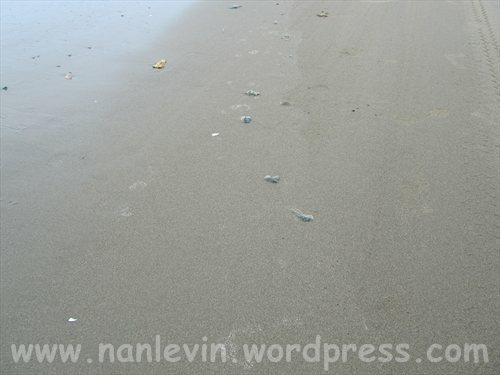 This entry was posted in Beach, Ecuador, Jellyfish, San Clemente and tagged Beach living, Ecuador, San Clemente, South American by Nancy Levin. Bookmark the permalink. 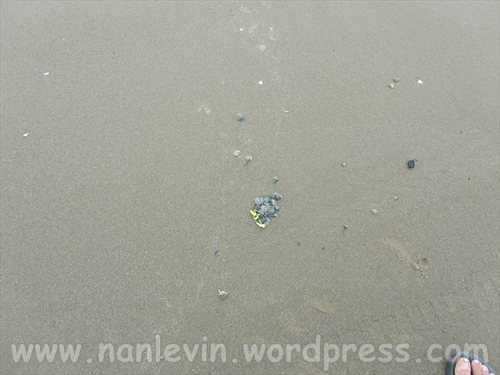 You are so right – I was stung by one last year – it was extremely painfull – no instant relief – just had to wait it out for about 24 hours – I do hear vinegar works well but of course at the beach we don’t usually carry vinegar – am now much more aware of these little devils and the sting they leave.